It has become trite to say that, on September 11, 2001, Americans realized anew that it was important to pay attention to what was happening on distant shores, that developments taking place half a world away could suddenly and devastatingly threaten the lives of people here at home. This realization was important, but it cemented a view of Islamist terrorism as an external threat. The West–the United States and Europe–was the target of this terrorism, but not its source, which was to be found elsewhere, in some foreign land, where it was cooked up under the spiritual tutelage of the radical Islamist clerics of Pakistan or Saudi Arabia. AS the shock waves from yesterday’s terrorist attacks in London – which seem to be the work of jihadist militants – reverberate across the Atlantic, a grim truth should become increasingly clear: one of the greatest terrorist threats to the United States emanates not from domestic sleeper cells or, as is popularly imagined, from the graduates of Middle Eastern madrassas, but from some of the citizens of its closest ally, Britain. The Power of Nightmares, a three-hour BBC documentary directed by Adam Curtis, is arguably the most important film about the “war on terrorism” since the events of September 11. It is more intellectually engaging, more historically probing and more provocative than any of its rivals, including Fahrenheit 9/11. But although it has been shown at Cannes and at a few film festivals in the United States, it has yet to find an American distributor, and for understandable reasons. 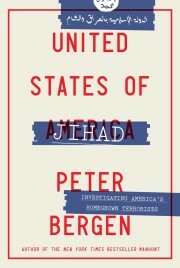 The documentary asserts that Al Qaeda is largely a phantom of the imagination of the US national security apparatus. Indeed, The Power of Nightmares seeks nothing less than to reframe the past several decades of American foreign policy, from the Soviet menace of the 1970s to the Al Qaeda threat of today, to argue that neoconservatives in the American foreign policy establishment have vastly exaggerated those threats in their quest to remake the world in the image of the United States. Pul-e-charkhi prison, a vast crumbling Afghan fortress twenty miles outside of Kabul, is not an easy place for an American to wind up. Its dank cellblocks house scores of Taliban and Al Qaeda fighters. Pul-e-Charkhi is also home to Jack Idema, a former U.S. Special Forces sergeant, who, in one of the more bizarre twists in the War on Terror, was arrested in Kabul last year and charged by Afghan authorities with running his own prison — a sort of freelance Abu Ghraib — where he was accused of torturing eight Afghan men he said were terrorists.